Which career is a better fit? When looking at a career in the capital markets it’s important to understand if you’re a better fit for investment bankingInvestment BankingInvestment banking is the division of a bank that serves governments, corporations & institutions, providing underwriting (capital raising) and mergers and acquisitions (M&A) advisory services. or equity research. Both offer excellent work experience and great pay, but choosing one over the other really comes down to personality more than anything else. This guide will break down the key differences between equity research vs investment banking. What do Equity Research Associates/Analysts do? Research analystsEquity Research AnalystAn equity research analyst provides research coverage of public companies and distributes that research to clients. We cover analyst salary, job description cover a group of stocks, typically within one industry, and publish reports with their recommendations on whether investors should buy, sell, or hold (overweight, underweight, market weight) the stock. Investment bankers advise their clients on underwriting (capital raising, IPOsIPO ProcessThe IPO Process is where a private company issues new and/or existing securities to the public for the first time. The 5 steps in an Initial Public Offering are discussed in detail including selecting an investment bank, due diligence & filings, pricing, stabilization, & transition to transition to normal trading, etc), mergers and acquisitionsMergers Acquisitions M&A ProcessThis guide takes you through all the steps in the M&A process. Learn how mergers and acquisitions and deals are completed. In this guide, we'll outline the acquisition process from start to finish, the various types of acquirers (strategic vs. financial buys), the importance of synergies, and transaction costs, corporate financeCorporate Finance OverviewCorporate Finance involves the financial aspect of businesses wherein sources of funds are determined, existing assets invested, excess profits distributed. Corporate finance also includes the tools and analysis utilized to prioritize and distribute financial resources. The ultimate purpose of corporate finance is to, and general advisory mandates. What type of personality is suited to equity research? The type of person who’s suited to equity research is someone who enjoys writing, routine, financial analysis, and is introverted. Writing: Research analysts have to write a lot of stuff. They publish lengthy reports (initiating coverage), periodic updates (quarterly results), and special notes (changes in management, acquisitions, new issues, etc.). Routine: A lot of what research analysts do is routine based. They have an earnings calendar of when all the companies they cover report their results and they issue reports around those dates. They can also plan a schedule of when they will initiate coverage of new stocks. 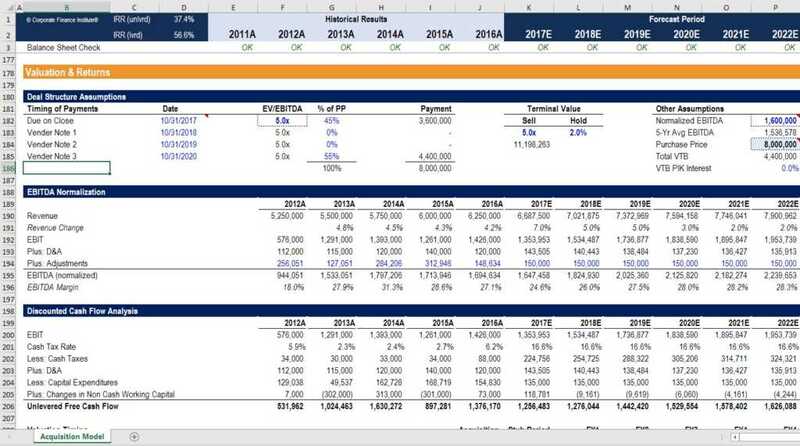 Financial analysis: There is a great deal of financial modelingWhat is Financial ModelingFinancial modeling is performed in Excel to forecast a company's financial performance. Overview of what is financial modeling, how & why to build a model. A 3 statement model links income statement, balance sheet, and cash flow statement. More advanced types of financial models are built for valuation, plannnig, and, industry analysis, and number crunching in equity research. Introvert: It’s not to say that research analysts are actually introverts, but there is much less of a sales component or client relationships involved in equity research vs investment banking or sales & trading. You should enjoy working quietly and independently if you want to be a research analyst or associate. What type of personality is suited to investment banking? The type of person who’s suited to investment banking is someone who enjoys writing, routine, financial analysis, and is extroverted. Excel modeling: Junior bankers spend a lot of time in Excel, building bull blown modelsTypes of Financial ModelsThe most common types of financial models include: 3 statement model, DCF model, M&A model, LBO model, budget model. Discover the top 10 types of Excel models in this detailed guide, including images and examples of each. Financial modeling is performed for many reasons including to value a business, raise money or just doing ad hoc analysis. Project work: Bankers work around deals so the work flow is lumpy (but the hours are always long). Type A: They are typically outgoing, ambitious, organized, and status-conscious. Smooth: To rise through the ranks, investment bankers have to be good salespeople. What is the lifestyle in equity research vs investment banking? Research analysts work long hours, but not nearly as long as investment bankersWhy Investment Banking?Almost every investment banking interviewer will ask the question: why investment banking? I want to work in investment banking because it's the fastest way to learn financial modeling, valuation, Excel, and understand the nature of large corporate transactions. I'm aware the job has a strict hierarchy, very long hours. They typically start earlier, around 7 or 8 am and work until about 8 pm. In research, you should plan on 12 hour days as being fairly routine, whereas investment bankers should plan on 15+ hours. While there is lots of work in equity research, it is less volatile and erratic than investment banking, where there is no predictability about deal flow. What is the compensation in equity research vs investment banking? Starting base salariesInvestment Banker SalaryAn investment banker salary is among the highest in the world. They are paid a base salary and a bonus for their compensation. Find out how much they make. An analyst straight out of university can expect to earn over USD $100,000, but per hour it could be as low as $20-35 when working 100 hr/wk are comparable for research and investment banking, but there is a large difference in the bonus structure. While junior investment banking positions can earn 50-100% of their base in the form of a bonus, in research it could be closer to 0-25%. Check out our compensation guidesCompensationCompensation and salary guides for jobs in corporate finance, investment banking, equity research, FP&A, accounting, commercial banking, FMVA graduates, for more details. The reason for the lower bonuses is because equity research is often viewed as a cost center as opposed to a profit center for the banks. This may be true, but equity research plays a critical role in helping other divisions make money. Having a reputation for high-quality coverage increases your chances of leading an IPOIPO ProcessThe IPO Process is where a private company issues new and/or existing securities to the public for the first time. The 5 steps in an Initial Public Offering are discussed in detail including selecting an investment bank, due diligence & filings, pricing, stabilization, & transition to transition to normal trading or follow-on offering and is often rewarded by investment managers making their trades through that bank. Equity research vs Investment banking – Which has more interesting work? In equity research, you working with publicly available information, speak frequently with management, and prepare recommendations. In investment banking, you are often dealing with non-public information, work in deals and transactions, and have more of a sales angle. Both are interesting – it’s about which is a better personality fit for you. Both require a lot of financial modeling and both can be very rewarding.